Asmat Art features the world-renowned woodcarvings of the Asmat, former head-hunters who live in the western half of New Guinea. Working with stone adzes, bone, and bits of shell, early carvers fashioned the local wood into stunning masterpieces. 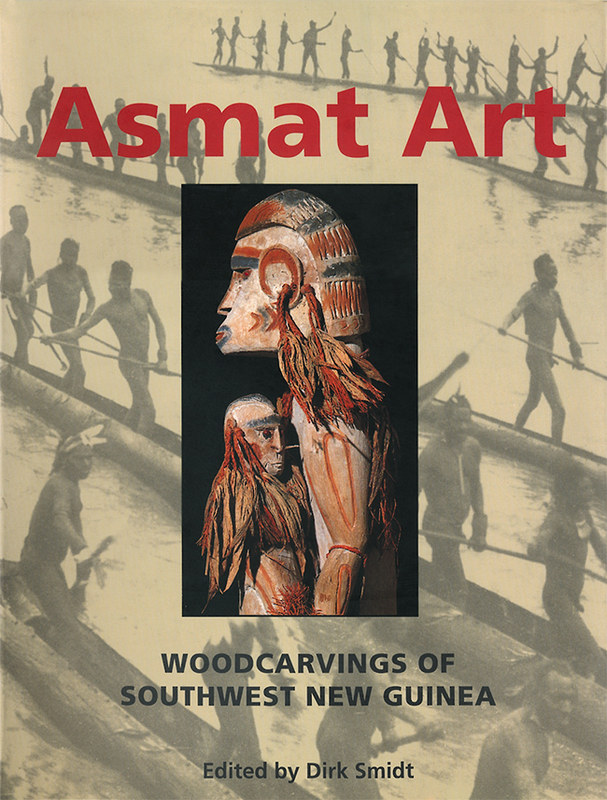 Editor Dirk Smidt has gathered together distinguished experts on Asmat art and culture to describe the physical and spiritual world of the Asmat, the techniques and motifs used by master carvers, and to present an historical overview of European collections of Asmat art. "The elaborate woodcarvings of the Asmat, who inhabit western New Guinea's coastal swamps, make the spirit world tangible. Head-hunting--practiced until the early 1960s--and ancestor worship figure prominently in this fierce people's intricate art. Spectacular, phallic bisj poles depicting human figures one above the other embody Asmat warriors' promise to avenge the deaths of the people carved into the pole. Abstract motifs on war shields symbolize deceased relatives; the Asmat believe these shields give warriors supernatural support in battle. Canoe prowheads, paddles, figure sculptures, eerie mask costumes and "soulships" carrying spirit passengers all reflect the Asmat preoccupation with the netherworld. Smidt, a curator at the Netherlands' National Museum of Ethnography, leads a team of scholars, collectors and anthropologists in ably discussing Dutch colonial contacts, Asmat festivals, religion and motifs."